Utilizing snow lotus callus extract and deep-sea pearl essence, the key active ingredients transport straight to the underlying layers of the skin activating cell regeneration and attacking dark spots on contact. With its rich minerals and double action whitening abilities that effectively improve skin’s moisture and oil distribution, protecting it from harmful environmental stress, leaving it supple and glowing brilliantly. 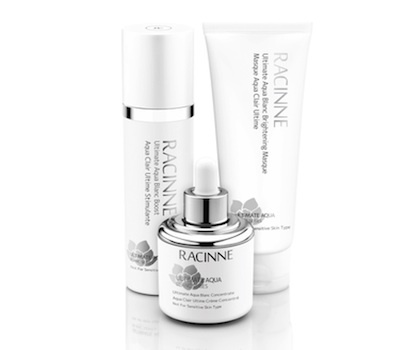 Click here to sign up for Racinne’s newsletter and get a free sample.